3rd grade ABA is fortunate to have two very experienced coaches. Coach Mentink is the varsity baseball coach at AHS and has an extensive background in basketball as well. 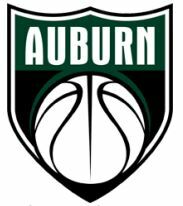 Coach Brown coaches basketball as a varsity assistant at AHS and has been coaching at the high school and middle school levels for over 15 years. They will bring our young players a lot of knowledge, but also a high level of energy and fun.